At first glance, it may not seem like you need that much to learn how to play guitar. You just need a guitar...right? Well, sure. But you might find that other equipment and accessories are very useful while you go! 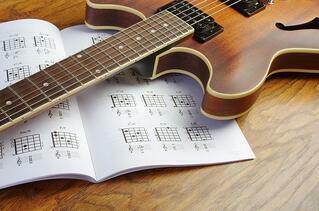 To help you out, we’ve compiled a list of things you may need to purchase as you learn guitar. Picks. While you could build up those callouses with fingerpicking, there are just some things you can’t do without a guitar pick. You can usually find a pack of quality guitar picks for around $5. Strap. Choosing your guitar strap is always fun because you get the chance to customize it to fit you! Since there is such a wide variety of guitar straps, you can end up paying different amounts based on what you are looking for. Cheap guitar straps can go for $15. Guitar Tuner. Guitars can easily go out of tune - especially with temperature changes. It's always important to keep tuning it so that when you practice or play in front of anyone, you will be sounding your best! Capo. A guitar capo allows you to quickly change the pitch of the strings on your guitar without having to do the hard work of transposing the chords by yourself. It's a small piece of equipment that can come in handy at any time! 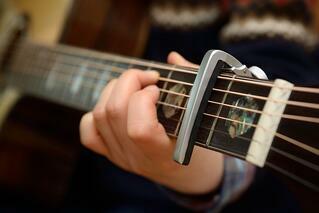 Capos will usually cost you less than $10. Spare Strings. It could be a while, but eventually your guitar’s strings will need to be changed out. It shouldn’t affect the sound of the guitar, just how it functions. When it comes time to buy strings for your guitar, you want to make sure you are buying the right kind. One pack of strings shouldn’t cost you more than $7. Guitar Stand. It's nice to have a place to keep your guitar when you are not playing it. A simple guitar stand normally costs around $12. Amp. A guitar amp does exactly what it’s called: amplifies! It helps strengthen the sound and volume of your guitar. 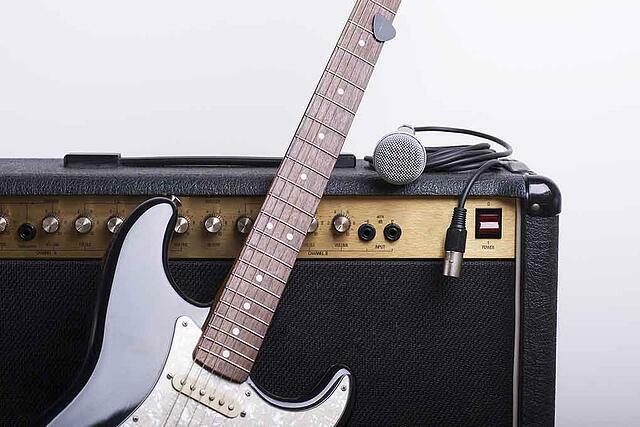 You can use an amp for an electric or acoustic guitar, if you have the right cables. Amps are usually on the more expensive side. Starting around $100, you can buy an acceptable amp. If you want a better quality one, just be willing to spend more! Audio Cable. You can use an amp without a cable! There are cables that work for both electric and acoustic guitars. Most cables will be $20 or under. Effects Pedals (Electric). There are many different kinds of effects pedals for guitars that allow you to get a different kind of sound. The price of these pedals will vary, depending on what you are looking for. Pickup (Acoustic). Make your acoustic chords heard! Pickups for an acoustic guitars allows you to amplify your sound even if your guitar doesn't have a cable plug. You can find pickups for around $30. Cleaning Spray & Wipes. It’s important to take care of your instrument! Buy some cleaning spray and wipes to keep your guitar looking great (and clean)! Spray and wipes should be anything from $5-$10. Learning Materials. Let’s face it: if you are going to learn anything on guitar, you’re going to need a place to write it all down. Weather it’s just a folder with your own songs or a book of famous songs to learn, you’ll need something! Try making your own song binder to take with you to music lessons. We hope this list helps you adequately prepare for guitar lessons in the future!